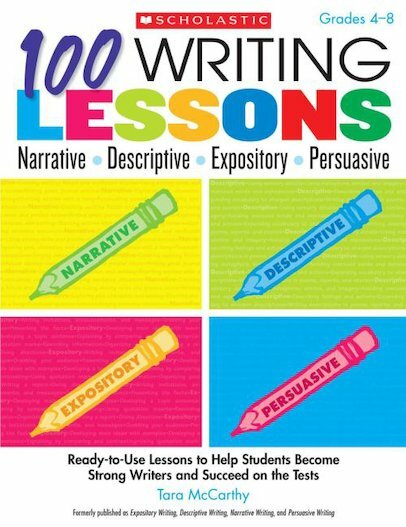 Ready-to-use lessons on narrative, descriptive, expository, and persuasive writing. Help your students to become strong writers who shine in written work and tests! This bumper resource contains a vast collection of quick lessons and activities that teach the essentials of good writing: elaboration, essay structure, plot development, organizing a report and so much more.